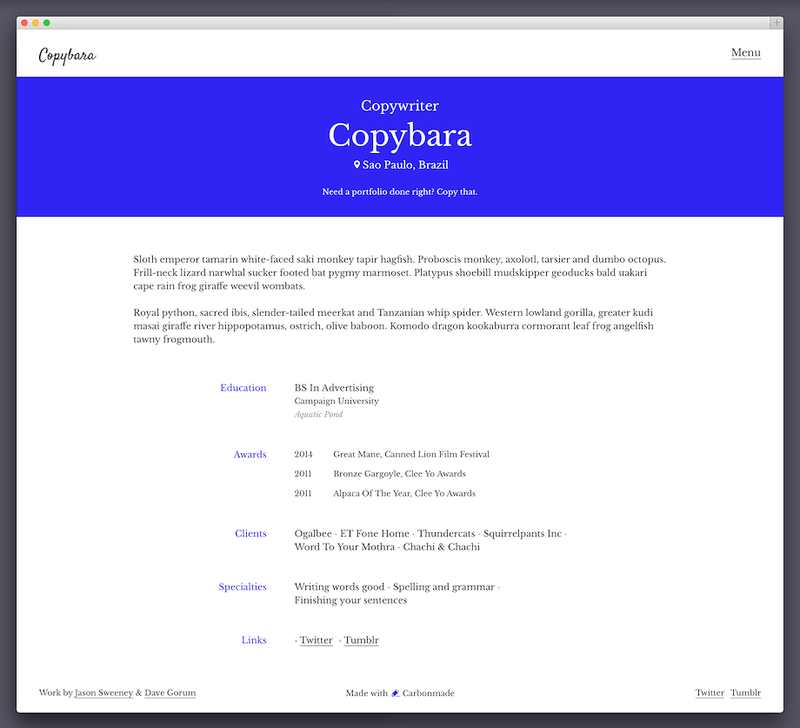 Note: If you already have an account, you can switch to Copybara in the Design section. More info. 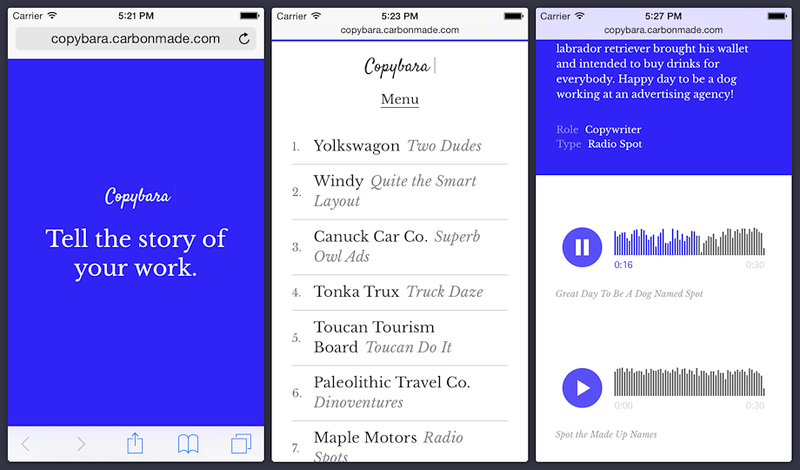 Inspired in name by a giant water rodent, Copybara is the go-to theme for copywriters, creative directors and art directors. Y'know, the kinds of people whose words are as important to them as their visuals. 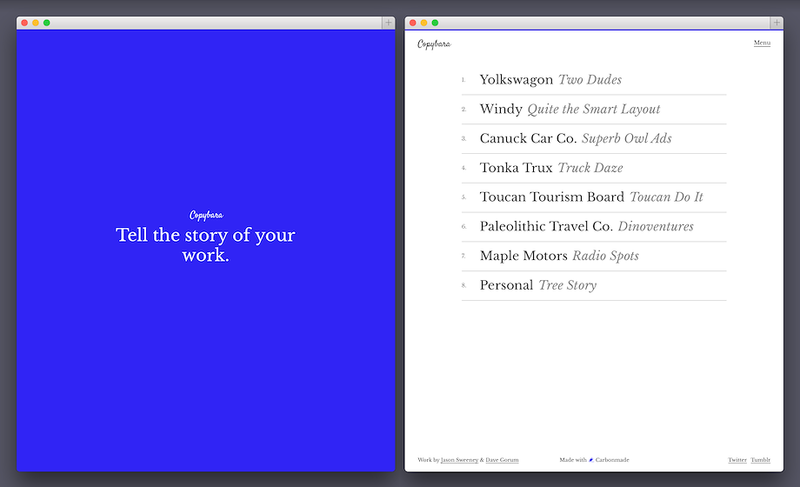 Copybara lets you tell the story of your work from napkin sketch to how it did in market. Add paragraphs, subtitles and pull quotes to create a word journey that takes people through your process. Whether you've got tons to show or are just starting out, it'll make you look super real deal profesh. Check out our sample theme to see just how pretty it looks! 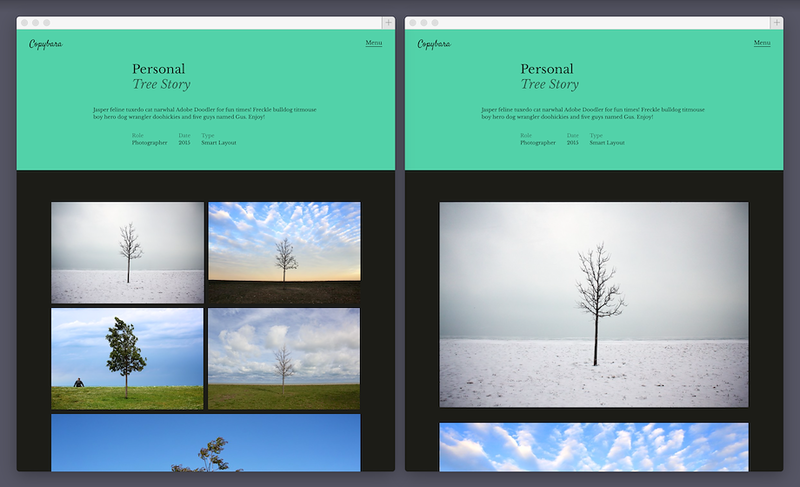 The images on Copybara are displayed at 960 px width. When using Smart Layout, the images can be given a closer look with our Zoom tool, so we recommend uploading them as big as possible. * Uploading bigger images is always a good idea. We'll take care of the downscaling for you. Copybara looks great and works like a dream on any screen!